How Can A Cavity Affect Other Parts of the Mouth? The decay spreads – Teeth don’t exist independently in your mouth. They’re all in close contact with adjacent teeth, so when one tooth has a cavity, it can easily spread to the tooth next to it. Fortunately, this is easy to prevent if the initial cavity is caught early enough. 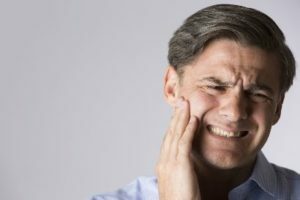 It might cause an infection – An infection occurs when a small cavity grows large enough that it reaches the inner layer of the tooth where the nerve resides. In many cases, this becomes painful right away, but occasionally the nerve will just “quietly die.” In those cases, a patient won’t feel anything until they have a severe infection and abscess that requires emergency treatment. An infection can destroy the bone – When an infection is present, it can actually destroy the bone in the socket that surrounds the tooth. That can lead to an extraction and further treatment to replace the missing tooth with an implant, bridge, or partial denture. Fortunately, there are some easy things you can do to prevent these unforeseen consequences from happening! How Can You Prevent the Need For Emergency Dental Care? The best way to avoid an emergency situation is to get routine dental care with a dentist in Fort Lauderdale and practice good hygiene habits at home. Bi-annual checkups are an opportunity to find small cavities that you aren’t feeling yet so they can be fixed with relatively simple fillings. Routine care for your teeth is a lot like routine care for your car. A little bit of maintenance goes a long way in preventing big problems down the road! Dr. Marc Mingel is a general and restorative dentist in Fort Lauderdale who has seen firsthand how untreated decay on one tooth can ultimately lead to other oral health issues. In addition to providing emergency care, he always encourages his patients to schedule routine checkups to prevent small problems from becoming bigger problems. If you have any questions, he can be contacted through his website or at (954) 566-1548.